Total accommodation capacity of the settlement is 50 beds, distributed in 10 five-bed chalets. 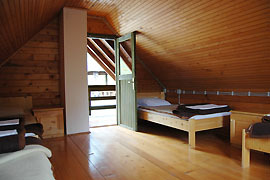 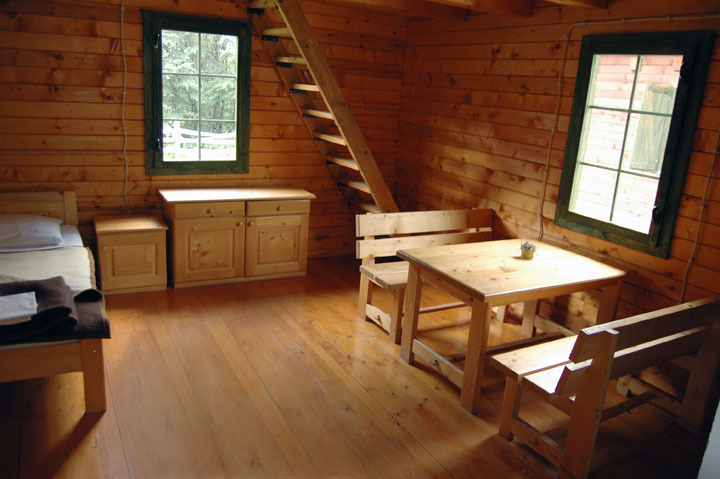 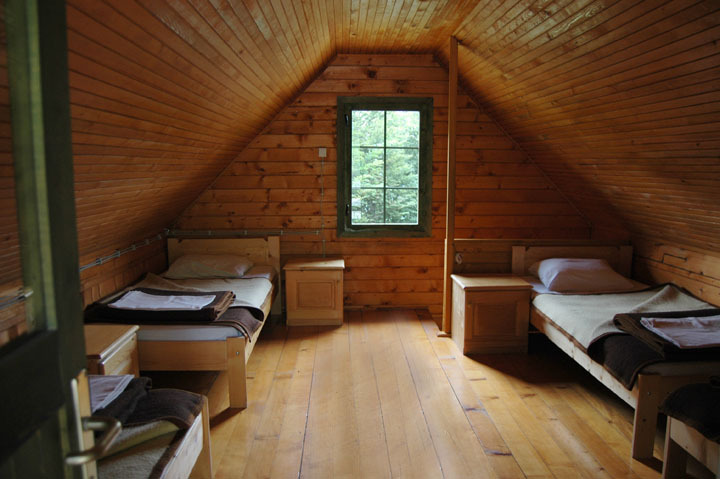 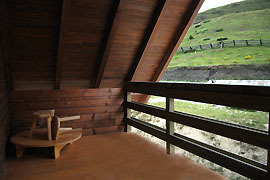 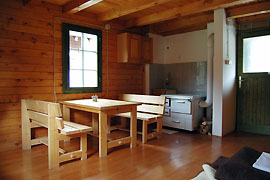 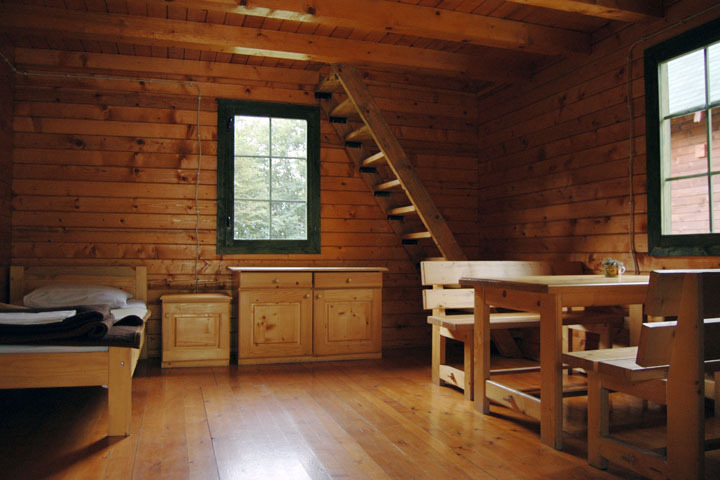 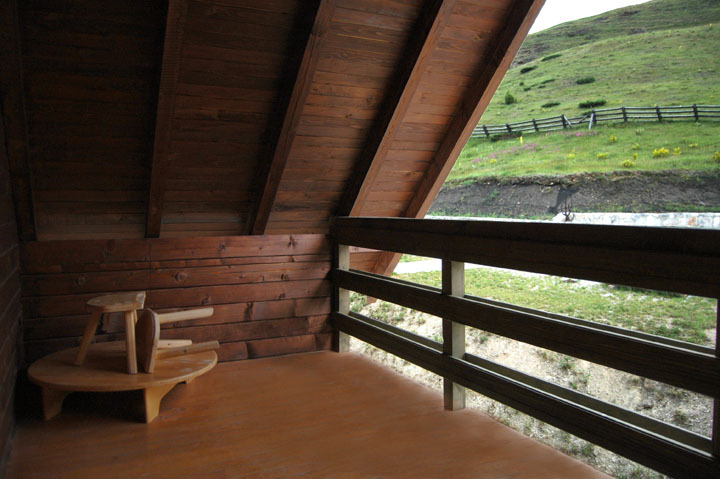 Each chalet has a living room, terrace on the top floor, bathroom and a wood stove. Beds are mostly placed in the attic.